oops, good call - thank you! Is there a high-quality photo of this post? I want to blow it up for my vision-impaired friend! this is fab! i have used other mind maps of yours and find them very useful! Which software was used to make this? It´s awesome! Wow. A great, comprehensive chart! Is it possible to get a higher resolution copy of this image? 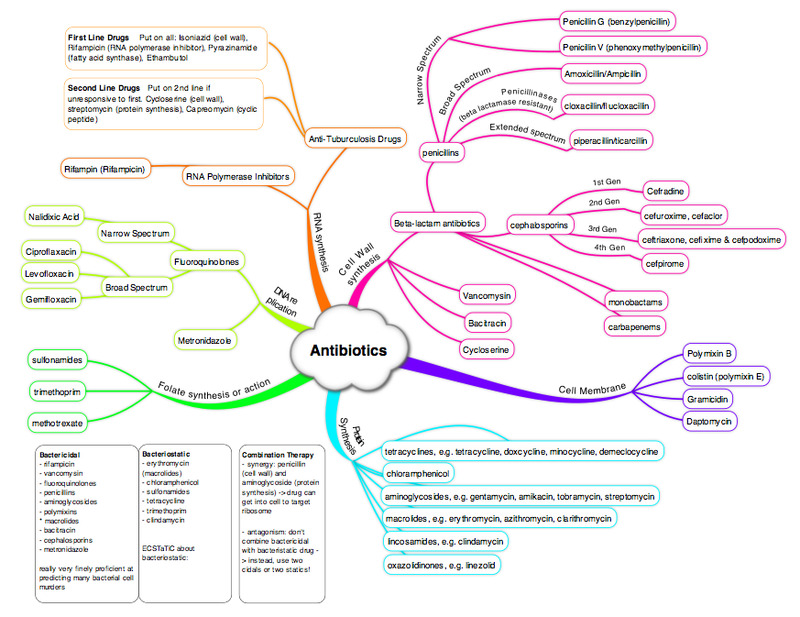 - A guide to classes of antibiotics, how antibiotics work against bacteria and mechanisms of bacterial resistance.